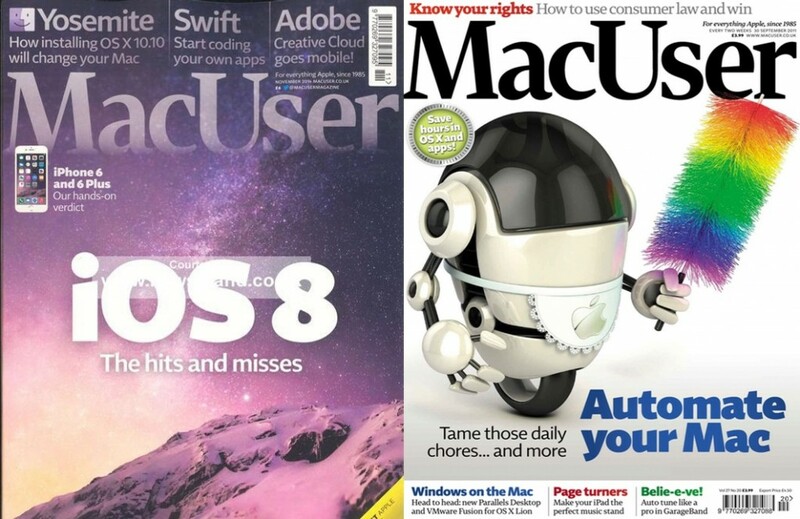 The decision to cease publication of MacUser was very tough and one that was not taken lightly. Unfortunately, due to challenging market conditions, the closure was unavoidable. Apple (AAPL) continues to outpace the rest of the PC market, as price cuts for the MacBook Air earlier this year helped boost global PC shipments above 80 million for the first time last year, even amid a declining market. Now that Apple is one of the world’s five biggest PC manufacturers — at least as IDC counts shipments — analysts who track the company’s unit sales have another data point to factor into their quarterly estimates. After a few years of stagnation, Apple may have just set a new record for Mac sales for the second quarter in a row. Step 0: Virtualization or Boot Camp? Today, with mobile products there are billions of decision makers. 500 decisions mean nothing. In fact, Apple with at least 500 million loyal and wealthy users is considered to be in a precarious situation. That’s partly due to the way other platforms like BlackBerry and Symbian found themselves in crisis with tens of millions of users. 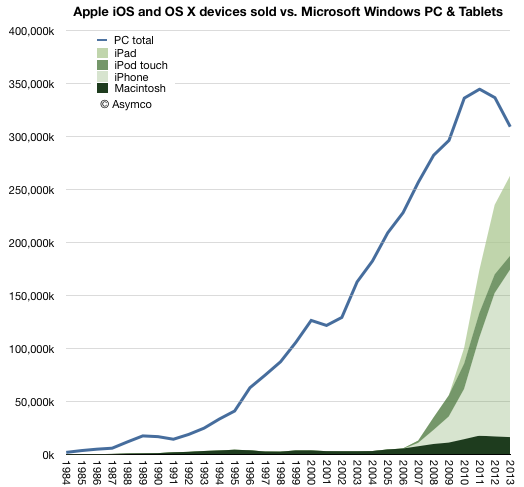 In 2013 there were 18.8 times more Windows PCs sold than Macs. This is a reduction in the Windows advantage from about 19.8x in 2012. 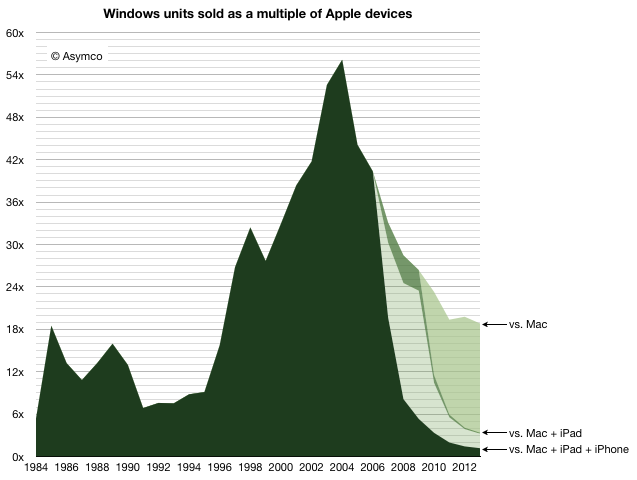 This decline is mostly due to the more rapid decline in Windows PC shipments relative to the more modest decline in Mac unit shipments. Gartner estimates that about 309 million Windows PCs were shipped, down from 337 million in 2012 (which was down from 344 million in 2011, the year PCs peaked.) I estimate about 16.4 million Macs were shipped in 2013 down from 17 million in 2012. 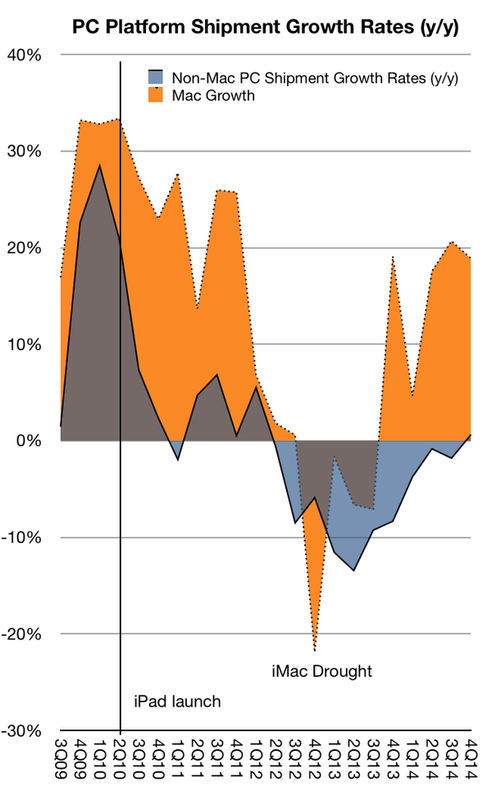 And yet, remarkably, even with 1.7% share, the Mac did not disappear. 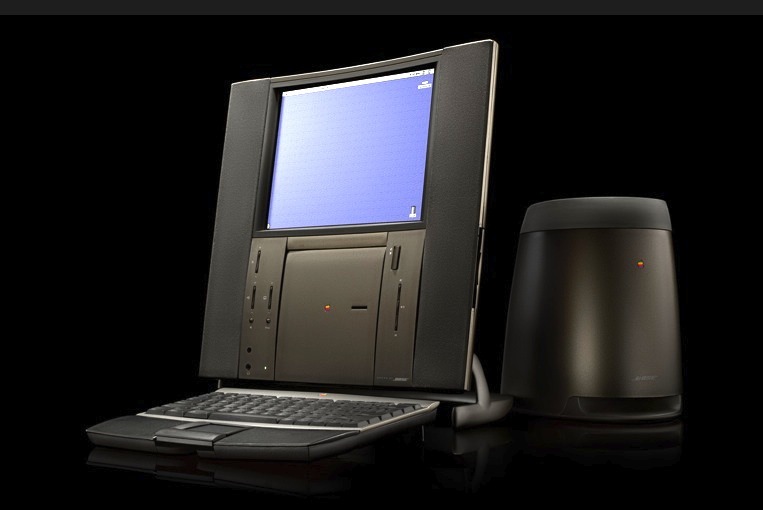 The figure of 3.2 million units was not great and below the peak to date but it was enough to sustain Apple while it developed its next products. 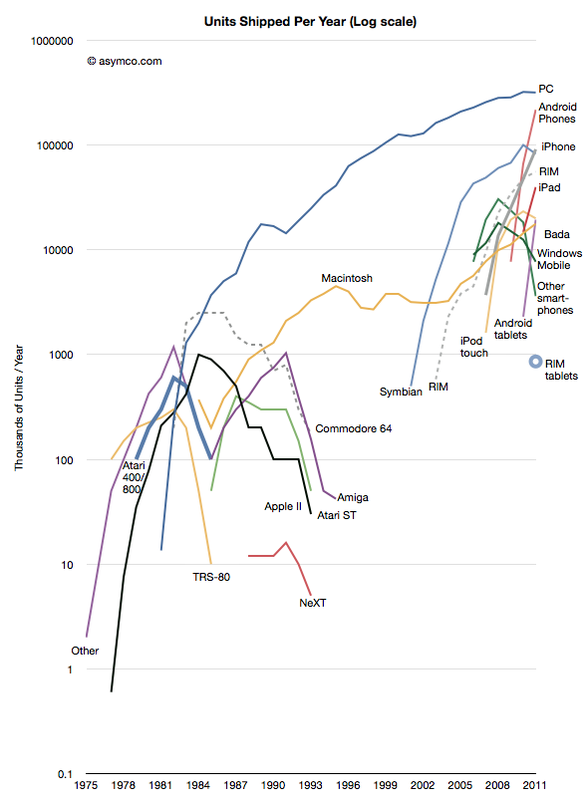 At the time the iPod was starting to grow rapidly and development on iPhone/iPad was already underway. The point being that there were new products. 3.2 million was a sufficient volume to preserve the company until such time when they would be ready. Today the situation is quite different. The total number of platform products Apple sold in 2013 was about 260 million The total number of users Apple has is above 550 million.